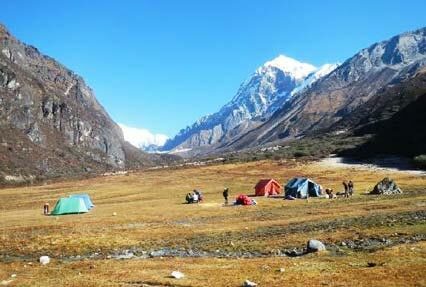 North Sikkim is one of the unexplored beauties of India. The pristine beauty of snow covered mountains, majestic waterfalls, blessed flora and fauna and breathtaking views spellbinds every visitor. Nature lovers, adventure enthusiasts, honeymoon couples or families, the beautiful region shall take your breath away. 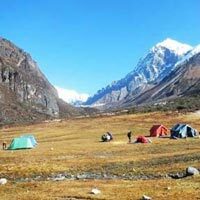 Shopping for local handicrafts Excursion to Tsogmo Lake & Baba Mandir Visit to Lepcha Village Lovely view the Shingbha wildlife sanctuary, Chopta Valley and Thangu Outing to Gurudongmar Lake Exploration of YumthangAir Fare / Train fare. After a lavish rest, get up in Morning for breakfast. After concluding your meal, pack your bags as your ride awaits. Get your ride back to Siliguri / New Jalpaiguri Railway Station (NJP) / Bagdogra Airport (IXB) / Tenzing Norgay Bus Stand (Junction). The nearly 135 kilometers will be covered in 4.5 to 5 hours' drive. Return home with cherished memories of North Sikkim tour. Note: One Tata Indica /Maruti Wagonr Only 04 pax One Tata Sumo Only 08 Pax are Allowed Including Child, If No Of Pax Traveling More Than 08, then Extra Car Cost will Be Rs. 28000/- Extra. 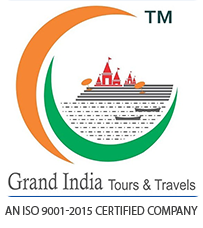 As per above Itinerary Supplement/Up gradation Cost of AC Innova/Xylo/Scorpio/Similar Rs. 3,850/- EXTRA. AP: Means includes accommodation, breakfast, lunch and dinner.